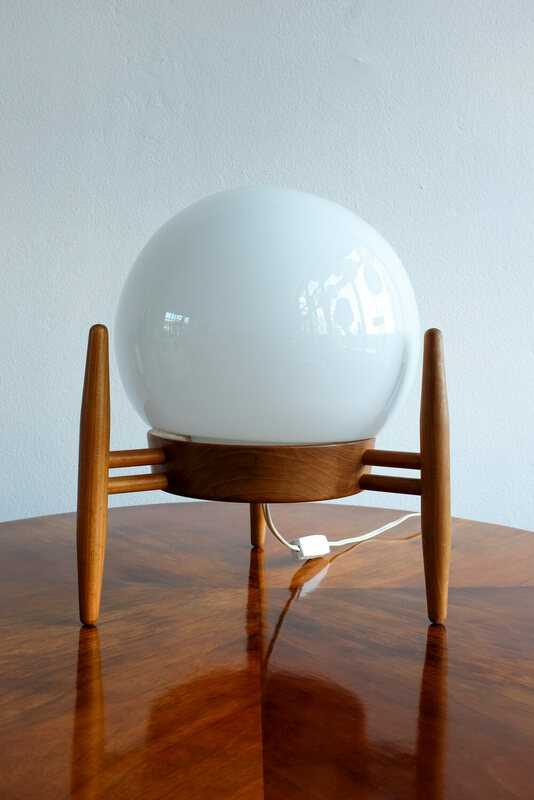 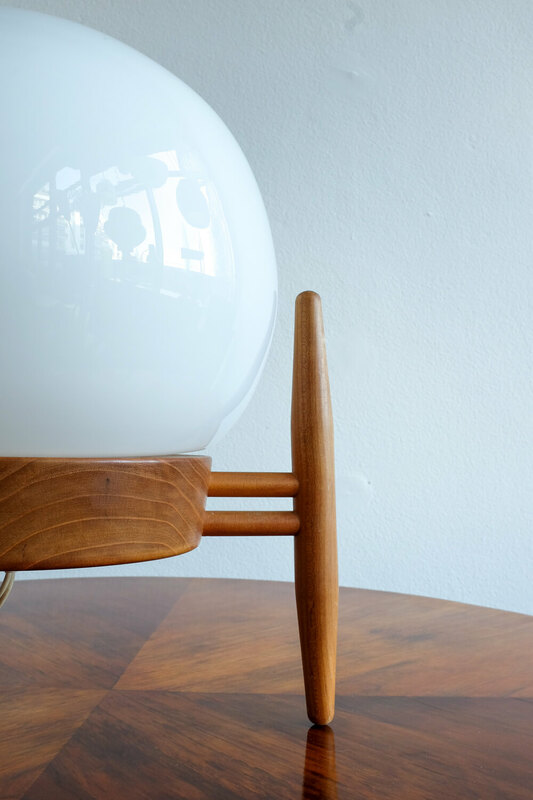 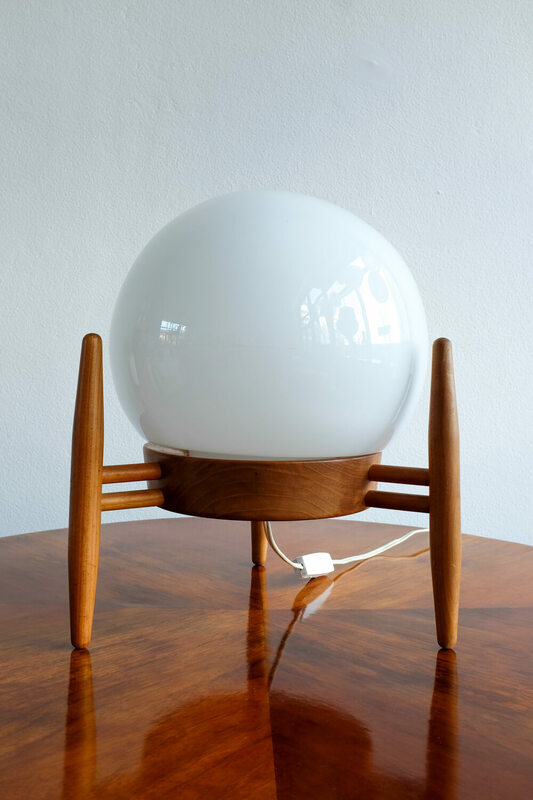 Beautiful vintage table lamp by ÚĽUV- Krásna Jizba. 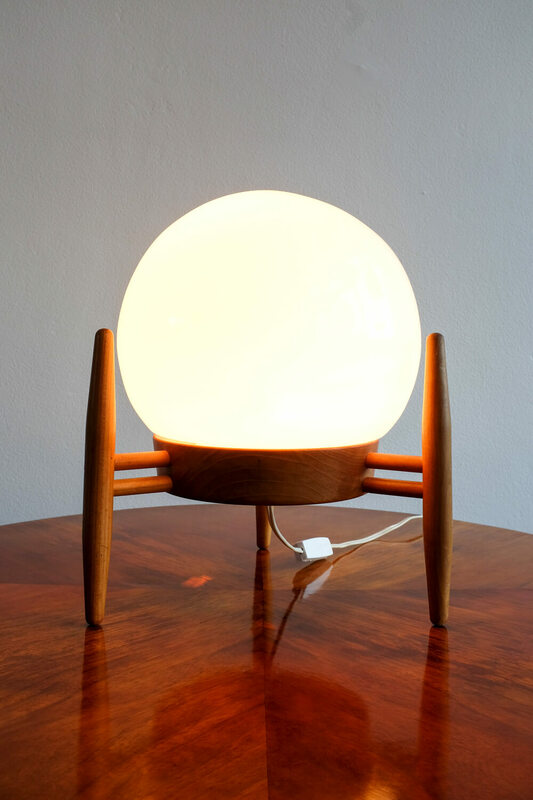 It's a wooden construction with glass lamp shade placed on it. 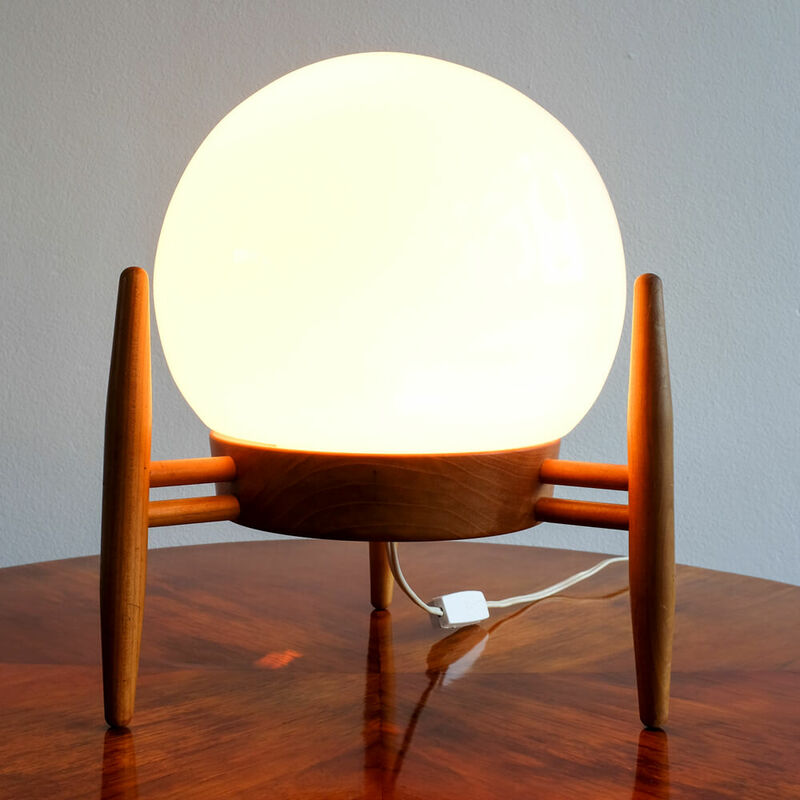 Lamps from these series are very rare, mostly due to the fact that most of the glass lamp shades broke.